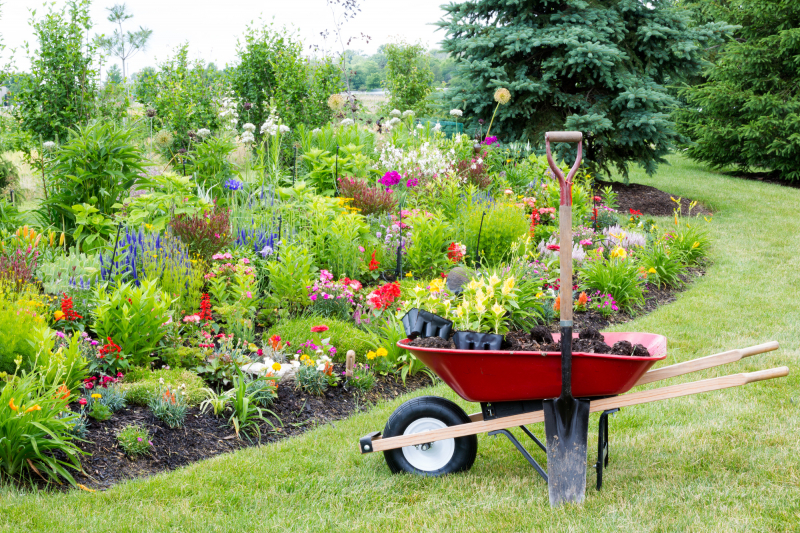 Are you planning on sprucing up your front yard? A beautiful front yard not only makes your home look more attractive, but it can also add sale value too. A great look takes planning, and it can be hard to know where to start. Don't worry! Read on for our front yard landscaping tips to get you started. The 'quiet' garden months are November to February, where your garden can look bare. You're going to get visitors all year round, and you want your yard to shine. Work evergreen shrubs and trees into your design to add form and texture all year round. It doesn't mean you need to add huge bushes and trees. There are a variety of small and dwarf evergreens on the market. Plan a pathway that will flow with the garden you're planning. Follow natural access patterns as a base guide. A straight path might not be as interesting, but it can be the least expensive and most sensible option. If you want to direct people to a certain place, curves and steps can look great. But they look best when they have a reason. Keep paths no less than 36 inches, 42-54 inches is better. Use your plants strategically to make the journey interesting. Add interesting contrasts of texture, colour, and form to your front yard by using edgings. They will also give neat outline and definition to your space. You can use ready-made edgings or make your own. Bricks, concrete curbs, and landscape timbers are a great choice. Use borders of flower and plants with your edgings but don't put them too close to the path. Otherwise, they will overgrow and get trodden on. You don't need a million different colours an plants to make a show-stopping garden. In fact, less is often more. Aim for no more than 5-10 species of perennials, 3-5 types of shrub and around 1-2 types of trees. Whenever you see an attractive plant, it is natural to want to add it to your yard. But show restraint. A smaller selection of plant types helps to tie together the whole yard. Having guided your guests to your front door with your walkways, you want the entrance to your home to be inviting. Make sure that your bell or knocker is visible. If you want to go a step further, replacing your stoop with one large enough for two people can make your doorway more homely. If you have a driveway, try to keep it visible, but separate. Low plantings can mark the turn to the driveway, and help guide in cars. Get ready for winter guests by setting up lighting to illuminate your driveway and the path to your front door. If you follow these tips, you can create a dynamic and attractive front yard. This front yard landscaping will give you an ordered look that works all year round, and actively enhances the front of your property. If you want to your front yard landscaped to the highest quality, contact us at Scott Landscaping today. We provide professional knowledge and expertise and install even the most creative projects. Excellent service. Extremely friendly and very professional work.